In our drive to offer the most visionary and authentic experiences that are sustainable and trusted, we are delighted to share a glimpse of what 2019 has in store across our Portfolio. So welcome to a mid-week-edition of the Monday Minute... a mammoth update, but we'll keep it brief. 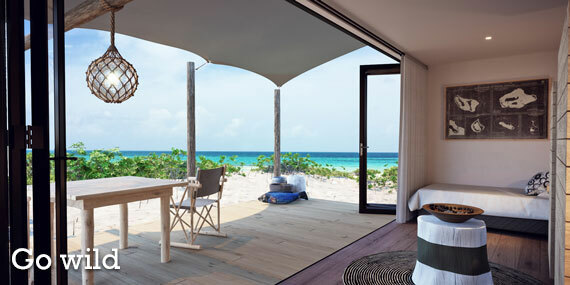 The ultimate Eco Camp has just opened on the most remote and wild island of Cosmoledo. Here, BLUE SAFARI SEYCHELLES has taken on the most ambitious eco-tourism project ever on one of the remotest outer atolls of Seychelles. Combined with Alphonse Island and Astove for the ultimate big blue safari. Logistics can be a challenge so we are working on a schedule of availability. Watch this space. 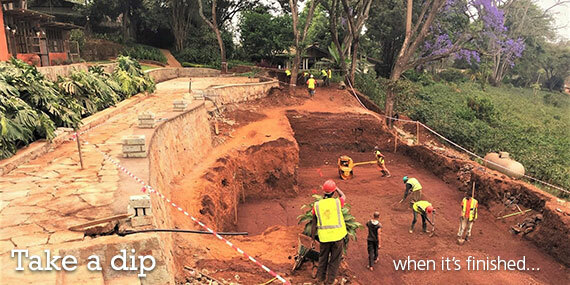 Hot off the press - more reason to linger longer at GIRAFFE MANOR as The Safari Collection are building a swimming pool, spa, gym and day room, aiming to be completed by mid-2019. 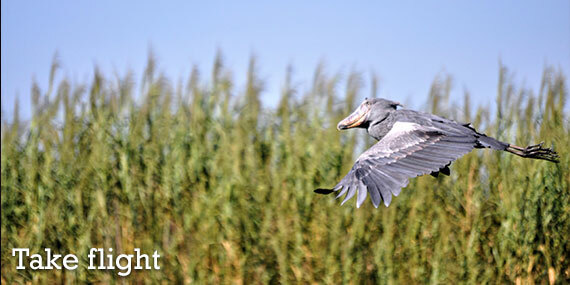 The hottest combo of the 2019 season - between REMOTE AFRICA SAFARIS and the newly refurbished SHOEBILL ISLAND CAMP in the Bangweulu Swamps - fits in with our ethos of authentic, remote safaris in pristine locations. We also love the camp out at Mwaleshi Camp. 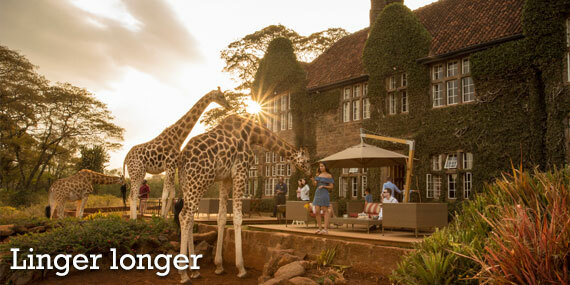 This is a truly soul-enriching experience and limited to a maximum of 6 guests for FIT bookings. 4 Chalets provide for some singles, and there is no supplement. One of our favourite things at GIBB'S FARM is to relax on the lawn with a drink (especially from their choice G&T menu) in hand, overlooking the fields of coffee plantations and rolling hills below you. From early next year you will be able to do this by the newly-built pool! Located in a prime position that once used to be farmyard, the pool adds to the sanctuary for the senses at Gibb's. 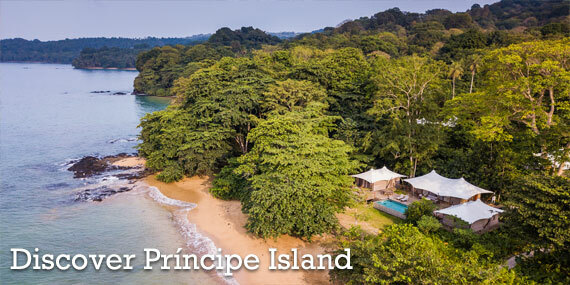 Following on from our launch of SUNDY PRAIA, off the coast of Gabon, we are now seeing Principe island used as the perfect post-safari beach break en-route back to Europe and the USA. Combine with South Africa with 3 x weekly flights on TAAG between JHB or CPT and São Tomé. Combine with Republic of the Congo using the Monday-departure from Odzala and taking the Tuesday ASKY Airlines flight from Brazzaville to Accra (via Lome). Connecting with the daily TAP Lisbon-São Tomé flight in Accra. Effective from January 2019, CONGO CONSERVATION COMPANY, who has pioneered tourism in the Congo Basin, expands beyond Odzala Discovery Camps to partner with Sangha Lodgeadjoining CAR's Dzanga-Sangha National Park. 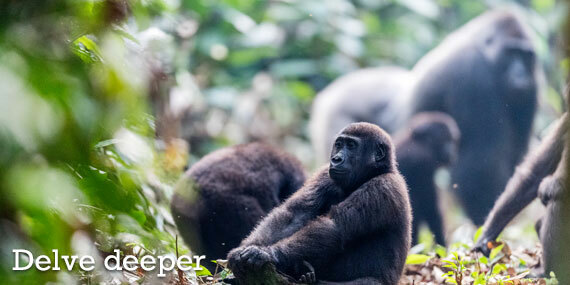 CONGO BASIN DISCOVERY - 11 nights: the full monty - combine the 7-night ODZALA DISCOVERY with 4 nights at Sangha Lodge for the best of both worlds. US$ 14 040 per person sharing. TANZANIA, SERENGETI: LEGENDARY EXPEDITIONS has many changes in the pipeline with a focus on their tented experiences in their Legendary Serengeti Mobile Camps and at Mwiba Tented Camp. SOUTH AFRICA, EASTERN CAPE: KWANDWE PRIVATE GAME RESERVE will be launching exciting new wilderness walking adventures from the middle of next year. 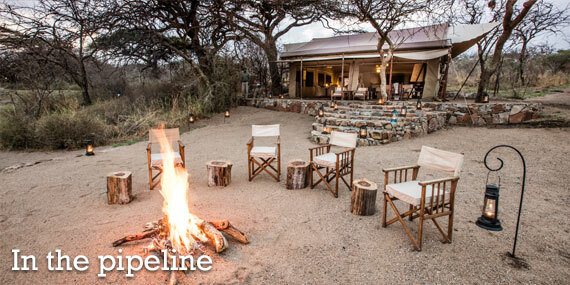 SOUTH AFRICA, GREATER KRUGER: TANDA TULA has secured a new location for another camp - focus remains on authentic tented, but this one will also be family orientated! Planning for opening late 2019. Do not forget the much-awaited DELAIRE GRAFF LODGES & SPA's new Lodges & Villa open 21st December this year. Your perfect itinerary planning tool is our online portal showing availability across Classic Portfolio. Click on the country and start building unforgetable journeys. The mobile camps are closed from 1 May until 15 May due to high rain fall anticipated during the green season of Tanzania. The planned dates for camp mobilisation are subject to change. The camp follows the migratory route of the wildebeest. Should the herds move earlier or later than expected, the camps may be mobilised accordingly. Please enquire with specific dates to check the expected location of the camp.